This has certainly been an interesting Father’s Day. I completely did not expect two of my recently graduated students to independently thank me for me being a positive “father-like” role model in their lives. And, truth be told, I’m really quite touched. It’s true: I do have a heart; not all my organs are assholes. It’s essentially a pretty bicycle with a lawnmower engine. The funny part, though, is that Ontario (and British Columbia) now require special licencing for driving these putt-putts. Other provinces accept a car licence for the operation of such weak devices. So, in Ontario, we have the choice of a full “M” (motorcycle) licence or a special “M-LSM” licence, which is just for the operation of low speed motorcycles or mopeds…. i.e., my pretty but inconsequential beast. And we have graduated licencing here, which means that just like the “G” (general car) licence, first there’s a written test to get the M1, then a practical test to get the M2 or M2-LSM, and then –2 to 5 years later– there’s a another practical test to get the full “M” or full “M-LSM” licence. The fastest and safest way to get an M2 or M2-LSM is to take a private weekend motorcycle safety course, after which the instructors, who are licenced by the province to do so, do the official licence testing on the spot. So I wrote my M1 test…. and failed the first time. This was particularly embarrassing because my examiner was one of my students at the time! In my defence, I hadn’t slept or studied. I figured I’d had a car licence for 26 years already; surely the M1 written test couldn’t be so different from a G licence test? But it was. A few dollars, hours, and a lot of sweat and worry later, and I finally got my M1. 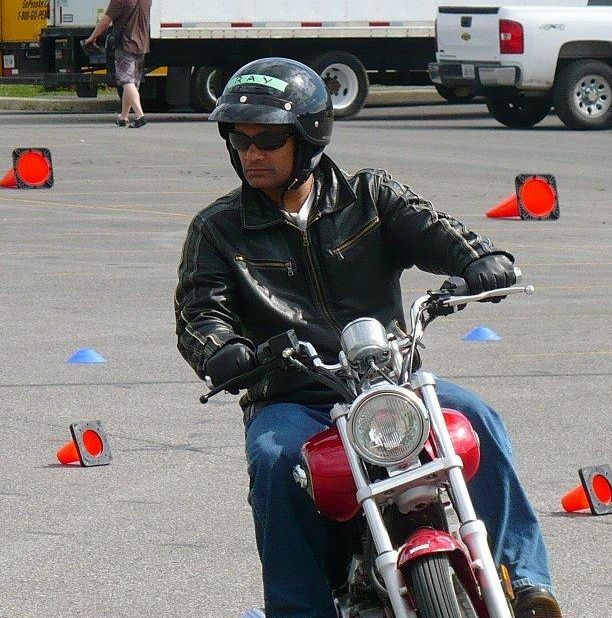 Then I signed up for an M2-LSM weekend training course offered by the Rider Training Institute. On the first day, though, he instructor convinced me to upgrade to the full M2 course, since the content would be the same as for scooters. The catch was that all training and testing would have to be done on real motorcycles. And, as we’ve established, I had no interest in or knowledge of motorcycles. Remember that I have no skills at all in operating any kind of machinery. Riding a motorcycle turned out to be a very difficult task for me…. and terrifying, too. Long story short, on wet pavement, after 2 days of riding in the cold and rain, we did the exercise for emergency stopping. Guess who pulled on the brakes just a bit too hard? Yep. I wiped out. But here’s the great part: this was when 20 years of martial arts training actually paid dividends. I did a perfect roll and tumble from the bike and emerged standing and unscathed, several feet from the crashed bike. So I guess that’s what it was all about, huh? Twenty years of training in 12 different styles and traveling the world to discover obscure arts and styles was actually all about bouncing from a split-second bike crash. 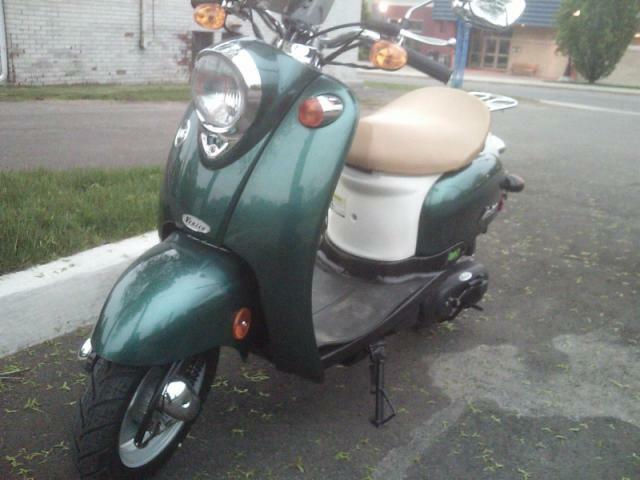 Now back to my little putt-putt scooter…. Previous PostWeekly Twitter Tweets for 2010-06-21Next PostWhen Would You Go?